The Campaign Against Living Miserably (CALM) has announced the finale of The Factory Foundation’s Thirty One Songs project, which will soon be replaced by the Xpress campaign, organised by Quenched Music. The CALM charity seeks to raise awareness of depression and to lower the high suicide rates among young men aged 15-35. Suicide is currently the single biggest killer of young men in the UK and, in its attempts to prevent these figures from continuing, the charity has been working alongside arts facilitators in the Manchester area. 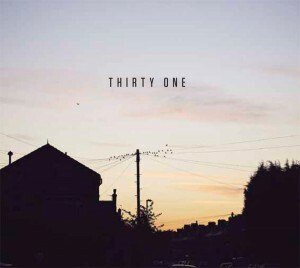 Last year’s Thirty One Songs compilation CD, which was made available to buy in retailers and bars across the Manchester area, has achieved above and beyond its original aim. Profit gained from the CD sales has exceeded £30,000, with the money going towards sustaining CALM’s national freephone helpline (0800 58 58 58) for seven days per week, rather than the four they could previously afford. This means that this year’s follow-up CD, compiled by Quenched Music, has a high benchmark to achieve. It will go under the Xpress moniker, a name chosen to illustrate the positive, cathartic, fulfilling and empowering feelings that arise when expressing yourself through creative and artistic pursuits. They have interviewed a series of professionals within the arts industries on their website, with the aim of highlighting routes and opportunities available for both career and hobby levels. The Thirty One Songs campaign will close with an event on Sunday 3 March featuring an onstage interview with Vini Reilly (Durutti Column) answering Dave Haslam’s questions. John Bramwell (I Am Kloot) and JP Cooper will also perform on the night. The closing event for Thirty One Songs takes place on Sunday 3 March at Manchester Town Hall. The Thirty One Songs album remains available to buy for a limited time here, and features a wide range of music that originated in Manchester, both old and new. The Xpress album will be available from 3 May 2013, with all profits going to CALM.